Supporting both AWID® and HID® 125 kHz formats simultaneously, Cansec’s CanProx Reader offers traditional, no-touch access control using a variety of Cansec, AWID® and HID® credentials. 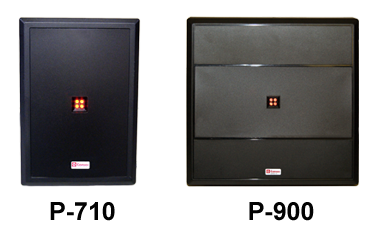 This popular product provides convenience, reliability and tough security. 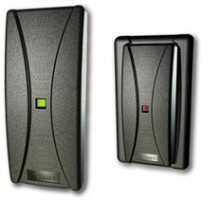 The CanProx One Multi-Mount Proximity Reader offers the flexibility of both door mullion or wall mounting in a single reader solution as well as supporting certain HID® and AWID® 125 kHz proximity protocols together at the same time. The perfect solution for entrances where vandal resistance is a high priority or where high profile aesthetics must be preserved. Easily installed in new and existing wood or aluminum entrances. Certain HID® and AWID® 125 kHz proximity protocols are supported together at the same time. Simple and intuitive to use. Does not affect weather seal or structural integrity. As Marshal McLuhan famously said “There are no passengers on spaceship earth. We are all crew.” As crew, it is our responsibility to reduce energy consumption wherever possible. One simple and effective way to do this in the hotel environment is to install a device near the exit of the room which can detect the presence of the guest’s 125 kHz HID® or AWID® room card. As long as a card is present, a relay is activated which enables selected lighting and outlets. As soon as the card is removed, the relay is deactivated after a short, programmable delay. 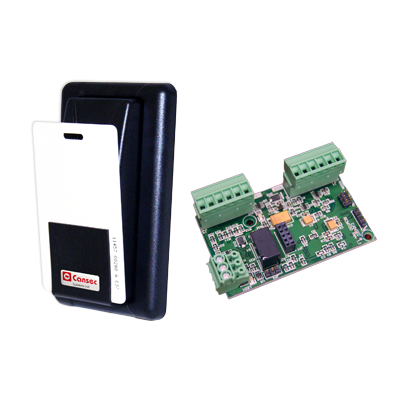 Unlike devices which use a simple mechanical switch, the Active Presence Reader cannot be defeated by simply inserting a business card, mag stripe card or other such item.